"Meanderings of the Happy Reaper"
Welcome: Mr Little welcomed members and visitors to the first ordinary meeting of the Old Glasgow Club 2017/ 18 session. Fire drill procedures and housekeeping rules were explained, and all mobile phones were requested to be turned of or silenced. Mr Little advised that if we were experiencing adverse weather on the date of an Old Glasgow Club ordinary meeting to check with Adelaides on 0141 248 4970. Should the Directors decide to stand down a meeting, Adelaides will be informed and the information will also be posted on Facebook and the Club's Website. Apologies: There were apologies from Brian D Henderson, Cameron Low, Joan Low, Gillian McGugan, Cath Wallach, Joyce Thornhill, Aileen Kelly, Alastair Ross, Glen Collie and Shona Crozer. Minutes: The minutes of the last ordinary meeting, held on 13th April were approved and proposed by Alison Sannachan and seconded by Maureen Robb. President's Report: Mr Little told us that there was still time to visit this year's history, heritage and archaeology themed Glasgow Doors Open festival featuring buildings, walks and tours, running until the 17th of September. Mr Little mentioned one of particular interest, "Woodlands Cottage, The Hidden House" - "Enter an ordinary tenement close and find in the back courts a hidden villa. Woodlands Cottage predates the tenements built around it. Once surrounded by Kale Yards, it's the last surviving dwelling house of rural Woodlands". It is well worth visiting, and there are tours Friday, Saturday and Sunday at 11am, 1pm, 3pm. Duration of the tour is approximately 30 minutes. We were also told that the photograph of the last tram leaving Ruby Street, shown at April's ordinary meeting has now been safely returned to it's owner. Secretary's Report: Mrs McNae wished us all a good evening, and welcomed us back to the start of a new session. "You may have noticed that there is a different arrangement for the sound system here at Adelaides. The slides have been running for the last half hour and I don't propose to dwell on them as we are all keen to hear Sylvia's talk about Miss Cranston.But we would like to mention one or two. The first being that we were delighted to receive a letter of acceptance to our invitation to Lord Provost Eva Bolander inviting her to become our Honorary President. Our next slide is about an Extraordinary General Meeting to be held at the beginning of our October meeting. Hopefully you have a notice of this meeting in your possession. This will also be on the website after the meeting this evening." Mrs McNae then asked for our patience for a couple of minutes as she read out the reasons and requirements for our Extraordinary General Meeting. "If you were at the AGM in May you may have noticed that Stuart kindly agreed to serve for a further year as President. The Directors have determined to appoint Brian D Henderson as Vice President until the AGM next May. Brian will be appointed President at that meeting. The role of Vice President in any club is, in part, to prepare that person for the role of President, and as Brian has already been President of the Club - albeit some 30 years ago - he was but a boy at the time, we feel he is the perfect person for the job. Since the appointment of Vice President is in the remit of the Directors of the Club, the first part of the Extraordinary Meeting is a formality required by the Constitution. However, the Club needs to also elect three new Directors. By Clause 3 of our Constitution - The management of the Club shall be vested in a board of twelve Directors, consisting of President, Past President, Vice President, Secretary, Recording Secretary, Treasurer and six ordinary Directors. Two of our Directors have decided to stand down during their term of office - Anne White and Ian Frame. When Brian moves to Vice President, that creates a third vacancy, as he is currently a Director. We are looking for nominations to fill the Directors roles. This involves an additional meeting each month, hopefully bringing new ideas to the table. Details for the nominations are on the notice of Extraordinary General Meeting. Speaker: Mr Little invited tonight's speaker, Sylvia Smith to the stage to give her talk "Miss Cranston's Tea Room Empire". Sylvia thanked everyone for coming along and said that she wasn't going to just speak about Miss Cranston's empire but also her legacy. Miss Cranston was born in 1849 at one of the family's hotels in George Square, Glasgow City Centre. Her Dad was initially a baker and pastry maker before branching out into an hotelier. He owned the Crow Hotel, which stood opposite Queen Street Station, and the North British Hotel, which is now the Millennium Hotel. Catherine (more commonly known as Kate) her four brothers and her Dad were all signed up to the Temperance Movement. The Cranston family (immediate and extended) were noted for their innovative approach to hotel management, and ran a chain of temperance hotels in Glasgow, Edinburgh and London. Kate's brother, Stuart didn't want to do hotel work so he became a tea merchant and aficionado. Tea had started to become more popular because of the temperance movement. Stuart was eager to educate customers about the different types of tea (he promoted green tea but black tea was more popular). He came up with the idea of installing a few tables and chairs for customers and charging two pence for a cup of tea, and a bit extra for bread and cakes. The tea room concept was now underway, with Stuart's being the first in Scotland, the largest in Britain and the first in the world with air conditioning. In 1878 Catherine (Kate) decided to join her brother Stuart in the tea room business, and with the practical help of her Aunt and financial help of her Uncle she opened The Crown Tea Rooms at 114 Argyll(e) Street. Kate took the concept to another level, placing great emphasis on the quality of design and decor, cleanliness and on the quality and choice of food. In 1886 she opened a second one at 205 Ingram Street. Initially these tea rooms catered mostly to working men, however, being the astute business woman that she was Kate realised that her male and female customers expected different facilities. The Ingram Street tea room had a large room, a separate smoking room for men and a smaller, quieter room for women. In 1888 Kate commissioned the Scottish Architect and Designer George Walton to decorate a new smoking room in the Arts and Craft style. Miss Cranston met Engineer, John Cochrane, who was eight years younger than her, and became happily married to him in 1892. As a wedding gift John gifted her the lease of the entire building at Argyll(e) Street. Sylvia showed us many wonderful and iconic photographs on the screen. The Cochrane's home, "Hous'hill" at Barrhead, a young (and old) Charles Rennie Mackintosh, Jessie Keppie whom CRM was engaged to, his wife Margaret MacDonald and completed dining and billiard room being just a few of them. In 1897 Miss Cranston opened another premises at 91-93 Buchanan Street, her third building. It was here that George Walton introduced her to the young architect and designer, Charles Rennie Mackintosh. Walton worked on the decorations and fixtures and Mackintosh provided striking mural decorations for the Ladies Tea Room, the Luncheon Room and the Smoking Gallery. Walton and Mackintosh collaborated again on the premises in Argyll(e) Street in 1898. This time the design roles were reversed, Walton designed the murals and Mackintosh designed the furniture. This marked the appearance of Mackintosh's trademark ladder-back chair. "Following Walton's departure to London by 1898, it was to Mackintosh that Miss Cranston turned for all future design work". It was to be the start of a working relationship that would span some twenty years. "Subsequent projects included the tea rooms at Ingram Street, the Willow Tea Rooms, the Dutch Kitchen at Argyll(e) Street, and at the Cochrane's home, Hous'hill". 217 Sauchiehall Street was the location for the fourth, and most famous of Miss Cranston's tea rooms, The Willow Tearooms, a four storey building. The name "Sauchiehall" is from "saugh", the Scots word for a willow tree, and "haugh", boggy meadow. Charles Rennie Mackintosh and his wife Margaret MacDonald used this as a starting point for the design theme. Miss Cranston gave them full design control, inside and out, obviously impressed with their work at Ingram Street. Mackintosh redesigned the exterior facade and a range of interior spaces with different functions and decor. The rooms were themed, light for feminine and dark for masculine. The couple designed most other aspects of the tea rooms, including the interior design, and right down to the menus and waitresses uniforms. There was a ladies tea room to the front of the ground floor, a general lunch room to the back and a tea gallery above it. On the first floor was the "Room de Luxe", a more exclusive ladies room and a panelled billiards and smoking rooms on the second floor for the men. The "Room de Luxe" proved to be the tear rooms main attraction, even though it cost extra to be there. The ladies enjoyed being in private but they also liked to be seen there. Described at the time as "a fantasy for afternoon tea", the room was luxuriously decorated in a scheme of grey, purple and white. One wall had a fireplace and the other featured the focal point of the room, one of Margaret MacDonald's most famous works, the panel inspired by Rossetti's sonnet, "O Ye, all ye that walk in Willow Wood". Miss Cranston was astute and forward thinking, making her tea rooms accessible to both women and men. Women in that time could not just wander around willy nilly but it was deemed acceptable for them to frequent the women only rooms in tea rooms. The tea rooms were a popular meeting place with a complete cross-section of Glasgow society. Tearooms, the iconic ladder back chairs, Room de Luxe, Mackintosh's largest stained glass project for Room de Luxe, Margaret MacDonald's willow wood panel, chandelier containing 860 glass pieces in Room de Luxe and a picture of two waitresses. There were no further tea rooms opened but Mackintosh continued to design for Miss Cranston, and carried out work on "The Dutch Kitchen" basement conversion in Argyll(e) Street and on redesigns for the rooms in Ingram Street. When Kate's husband died in 1917, she was so distressed that she literally shut up shop and withdrew from public life. She sold all, her tea rooms, her house, all her Mackintosh and moved to the South Side of Glasgow. When her dementia advanced Miss Cranston moved back to where it all began, The North British Hotel on George Square. She stayed there until her death in 1934. Although Miss Cranston had sold her tea rooms, they were still being run as tea rooms in the years to come. Daly's department store in Sauchiehall Street incorporated The Willow Tea Rooms into their shop. Argyll(e) Street and Buchanan Street were run by a company called Cranston's Tea Rooms Ltd until they went into liquidation in the 1950s. Ingram Street was taken over by Jessie Drummond, a former manager of Miss Cranston's who ran it as a tea room until her retirement. The tea rooms were then taken over by Cooper & Co, an established tea and coffee merchant. It was when Cooper & Co decided to close the premised that a press campaign was launched to preserve the tea rooms and raise awareness of Charles Rennie Mackintosh. They were bought by Glasgow Corporation and used as storage and a gift shop until the early 1970s. The furnishings and fixtures were removed, and after some restoration some were exhibited at Glasgow Kelvingrove Museum for a number of years. It was discovered that the two waitresses in the picture were called Mini Harvey and Helen Holmes. The son of one of the ladies had stated that it was considered very, very upmarket if you worked for Miss Cranston in one of her tearooms. She was a fair and considerate employer who visited each tearoom on a regular basis. 1d per week was deducted from the girls wages to cover potential sickness days off. But, if you were always well you got the deducted money back. Miss Cranston also made a point of taking on poorer girls from disadvantaged backgrounds. The girls started off in the kitchens as a knife maid, a potato maid. When they excelled they were given recipe cards, and they could eventually work their way up to become cooks. Miss Cranston was extremely charitable, and when she died in 1934 she left a large portion of her estate to the women and children of Glasgow. 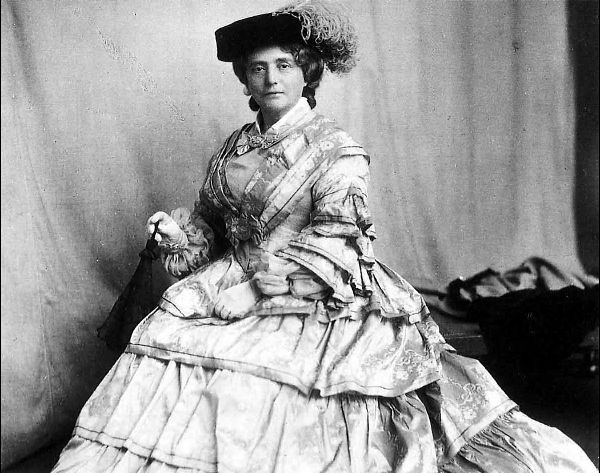 Sylvia told us that although Miss Cranston may have dressed in crinoline style of her Mum's era (1850's) there was nothing old fashioned about her. She was a forward thinking bohemian with an acute business sense, who did much to popularise tea rooms. She was also an important patron of designer and architect Charles Rennie Mackintosh, and artist Margaret MacDonald. Mr Little thanked Sylvia for her wonderful talk that everyone so obviously enjoyed, even if Mackintosh isn't everyones cup of tea! Between the two of them they certainly made an impact. Members were invited to ask Sylvia questions. Q Where was Miss Cranston buried? A She is buried in Neilston Cemetery, East Renfrewshire. Q When is the Willow Tea Rooms in Sauchiehall Street re-opening? A They are planning to open on 7th June 2018, to coincide with the 150th anniversary of Mackintosh's birth. Q Did her three other brothers go into the trade? A Her three older brothers helped out in the hotel. Q Did Catherine Cranston have family? A No, she was too old when she married but she loved children, especially her Nieces. Q Charles Rennie Mackintosh was engaged to Jessie Keppie then Margaret MacDonald, could you please explain? A No, sorry, I can't. Jessie also studied at Glasgow School of Art for a couple of years when Charles Rennie Mackintosh was there. Mackintosh was employed by Jessie's brother John at the architectural firm "John Honeyman and Keppie" in 1889. Jessie's brother was very important to her so it appears that John Keppie blocked Mackintosh when he broke off his engagement to Jessie, probably causing him to lose influential friends. Q Is there a biography available of Miss Cranston? A Yes, there is still one available in the library. Next Directors Meeting - Thursday 5th October, 6.15pm at Hutchesons Grammar School, Beaton Road, Glasgow. Next Ordinary Meeting - Thursday 12th October, 7.30pm start at Adelaides, 209 Bath Street, Glasgow. Welcome: Mr Little welcomed members and visitors to the October meeting of the Old Glasgow Club. be informed and the information will also be posted on the Club's Website and Facebook page. that was called last month. Our second point of business is to elect three new Directors to serve until the AGM in May 2018. Since we have three nominations for three Directors places no vote is required. Could I ask our three new Directors, Crawford, Cilla and Alison to stand and for you to welcome our three new Directors. Cairns, Jane Collie and Glen Collie. Frame and seconded by Crawford Cassidy. answerable but in many cases a bit more in-depth knowledge is required. someone who has been a member of the club for many years - serving as Secretary, President and Director. We are delighted to say that Brian Henderson has agreed to take on this role." of October that had been running on the screen this evening. the back of the hall. November 9th - "120 years of Candlemaking" by Rosey Barnet of Shearer Candles. December 14th - "Glasgow Mapping" Mapping the City by John Moore. January 11th - "George Square and its Environs" by Niall Murphy. February 8th - "An Evening for Members and Friends". 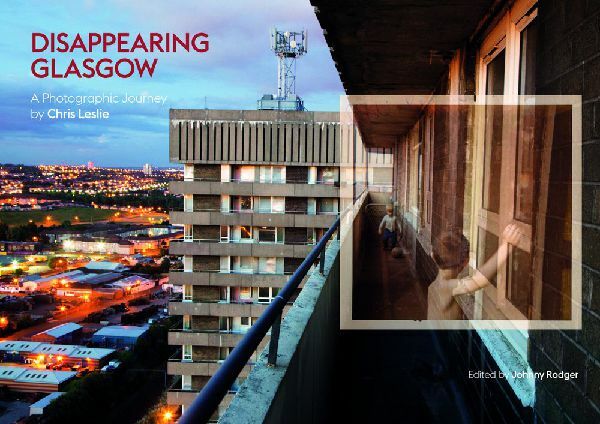 March 8th - "Disappearing Glasgow" A photographic journey by Chris Leslie. April 12th - "Central Station" by Paul Lyons. May 10th - AGM at Glasgow City Chambers. Glasgow Cathedral Festival runs 8th - 14th October, and is a week of music, art, tours and more based in the Cathedral. Speaker: Mr Little welcomed and introduced tonight's speaker, Ingrid Shearer to give her talk on Glasgow Markets. Ingrid is an archaeologist and graphics specialist with a particular interest in industrial archaeology and digital design. Ingrid has also developed projects and public events Weaving Truth With Trust, Raising the Bar and River Patter. Ingrid thanked everyone for coming along tonight to hear her talk. the King. This gives the right to hold a weekly market, and a very lucrative deal it is for the Church who are in control of it. Cross and is very lucrative. what goes into Glasgow. Illustration of a Tron which is a set of giant scales, and where the Trongate got its name from. Weighing is very important, first in control of the Church and then the Council. there is a Cathedral and University. 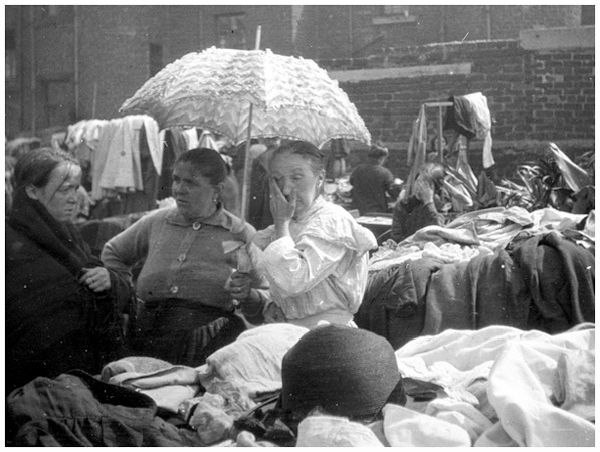 market are around the Trongate, with the Linen and Woolen Mill and Fish market at West Port. 1605 to regulate fruit and veg. in the buildings housing the markets. Everything is heavily regulated by them. it was regulated and controlled. It was not the most glamorous of markets but it was one of the most important ones. Ingrid showed us pictures of the Port Dundas Granary 1927, Meadowside Granary in 1913, 1938 and 1967.
embellished with Iconic pilasters, a circular interior with central well and glazed rotunda. All very grand. The Fruit market buildings map grows from 1817 in a semi-enclosed market with additions through the 1830s and 1850s. If you are walking through, and across Albion Street today you can still see the nicely cobbled street. The B listed Glasgow Cheese market was built in 1902, and if you are in Cafe Gandolfi, that's the Cheese market offices. Actually, quite reserved and classical in style. Next time you are coming up King Street, this is where the mutton and meat market were. columns of one or other of the orders". Quote from Thomas Pennant in 1769.
up squares and public spaces to reconstruct the unsanitary dwellings of the old city centre. In 1865 a delegation from Glasgow went out to Paris to look at Les Halles which was Paris' central fresh food market. Obviously some sort of inspiration was taken from it when you look at the photograph of the fish market.. In the 1970s the area around the fruit market and fish market were getting very congested, noisy and smelly and it was decided to move to Blochairn in the North of the city. examples of steel being used in a roof structure in Scotland, possibly Europe. The Briggait Steeple is part of the original merchant's house built in 1665, the fish market hall 1873, hall 2 1889, hall and corner block 1904 and offices 1914. The Bridgegate Trust was established in 1982 and took on the redundant Briggait Fish Market when there was a demolition order imposed on it. term viable use being sought for it over the next two decades. created 45 artist studios and 25 offices for cultural organisations. Welcome: Mr Little welcomed members and visitors to the November meeting of the Old Glasgow Club and told us that tonight's speaker, Rosy Barnet from Shearers Candles had cancelled via email this afternoon.....so no candles tonight. Fire drill procedures and housekeeping rules were explained, and all mobile phones were requested to be turned off or to be silenced. Mr Little advised that if we were experiencing adverse weather conditions on the day of an Old Glasgow Club ordinary meeting to please check with Adelaides on 0141 248 4970. Should the Directors decide to stand down a meeting, Adelaides will be informed and the information will also be posted on the Club's Website and Facebook page. Apologies: There were apologies from Maureen McRobb, Ian Frame, John McKnight and Petrina Cairns. President's Report: There was no President's report but Mr Little wanted to share two upcoming events that are taking place at the Bridgeton Bus Garage (Glasgow Vintage Vehicle Trust). "Follow the light on a journey of a thousand lifetimes as heritage and art mesh to create a unique experience. Corpses, Clippies and Light, a joint production by Glasgow Vintage Vehicle Trust and The Glasgow School of Art, pierces the dark of winter, warping visitors into a new environment composed of classic buses, video, sound and light reflecting Scotland's transport history". "The Mighty Fine Theatre Company will be bringing Lobey Dosser an the gang (including Rank Bajin and Fairy Nuff) to life in two pantomime shows in the hall of the Admin Block at the garage. The shows will start at 2pm and 4pm respectively. This will be a family show which will appeal to young and old and will be in-dispersed with the humour and observations of creator Bud Neill. Many will remember the Lobey Dosser cartoons in the Evening Times and the Sunday Mail many years ago. But did you know that Bud Neill was also at one time a Glasgow Corporation bus driver"? "Mr President, fellow members and friends of the Old Glasgow Club, Ladies and Gentlemen, may I say firstly how sorry I am that I was unable to attend our recent Extra-Ordinary General Meeting. I would like to thank you all for your very kind support, in my absence. When I stood before you at the Annual General Meeting, to intimate that the Directors were hoping to have a new VicePresident in office by the AGM of 2018, never did I anticipate, for even a moment, that I myself would have the privilege of being nominated to fill the vacancy. To say that I was overwhelmed to receive this invitation, is very much an understatement, Ladies and Gentlemen. My history with the club goes back to September 1975, when I became a member, and I was proud to serve as Secretary for ten years from 1978. The honour of representing our club as President for my first term in office, came with the Annual General Meeting in 1995. It was for me, Ladies and Gentlemen, very much a case of having to "feel the fear - and do it anyway". May I say that it is an achievement which continues to mean such a lot to me. You have now paid me the compliment of electing me as Vice-President until the next AGM. This gesture I greatly appreciate. Should everything go according to plan, and I am fortunate enough to be elected to the Presidency again next May, I shall do my utmost to serve this club, and to discharge my responsibilities in office to the best of my ability. Moving on now If I may, please, to the new post of Club Historian. I would like to record how very happy I am to take on the challenge of this new office. As I mentioned earlier, my involvement with the club goes back many years now, and I hope to be able to bring some degree of knowledge to the new role. In view of other present commitments, I do see the function developing over the medium to longer term. Although I will, of course hope to address any new and appropriate enquiries which come to the club. In drawing now to conclusion, Ladies and Gentlemen, may I thank you all again for your support, and your faith in me. President Stuart, Ladies and Gentlemen, thank you all very much indeed. Mrs McNae told us that the Directors would like to stress just how committed they are to reducing the footprint of producing the minutes. If you don't have access to email or internet and would like a copy of the minutes then please let us know at the front desk and we will organise a hard copy for you. To ensure we have your email address, please see Niall, Membership Secretary. Glasgow Map Brooches which would make ideal Christmas gifts, are £6, and available at our pop-up/ information desk at the back of the room. 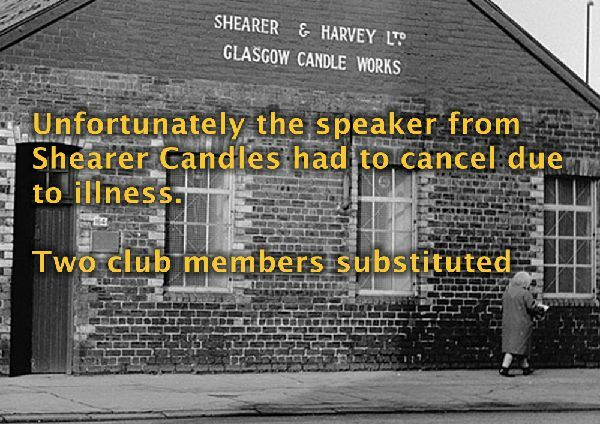 Shearer Candles, who unfortunately called off at the last minute due to ill health, are kindly donating 10% from the sales of their limited edition 120th birthday candle to the Old Glasgow Club. 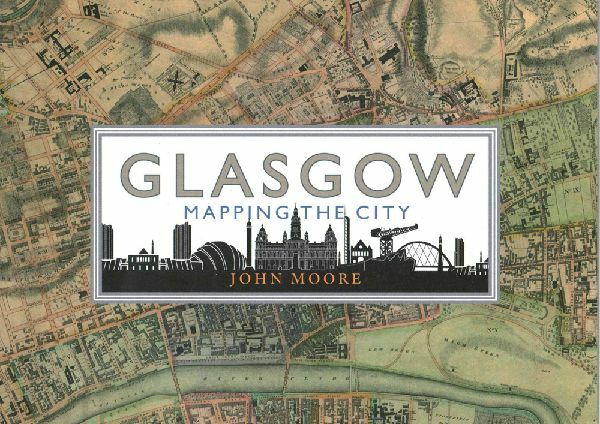 December 14th - "Glasgow Mapping" speaker John Moore. January11th - "George Square and its Environs" speaker Niall Murphy. February 8th - "An Evening for Members and Friends"
March 8th - "Disappearing Glasgow" speaker Chris Leslie. April 12th - "Central Station" speaker Paul Lyons. Dedication event for a new War Memorial in Highburgh Road is taking place on Sunday 12th November at 2.30pm. The memorial consists of two cast-iron plaques bearing names of congregation members of Dowanhill Church who died in the two world wars. Accessibility Champion - SCoD Stars Awards 2016. Innovative Event of the Year for Glasgow Film Festival 2017 - The Drum Scottish Event Awards. Kelvin Hall is marking its 1st birthday since the official re-opening of the iconic building on Saturday 11th November with a fun afternoon of free activities. The event starts a 12 noon and continues until 4pm. The annual Christmas Charities Fayre, celebrating its 40th anniversary, takes place on 14th November 10am - 5.30pm at Glasgow City Chambers. The Glasgow Christmas Lights Switch On takes place on Sunday 19th November in George Square. The event is free with balloted tickets...."but if you huvni had an e-mail frae the cooncil - yir naw gaun". Applications now open for The Glasgow Santa Dash 5km race in a Santa suit. It takes place on Sunday 10th December, with a 9.30am for 10.00am start time. Glasgow Council advice for your Christmas Party *book venue *sort outfit *spray tan *download taxi app *pre-book taxi *check last bus/ train time *charge phone *PARTAAAAAYYY. Next meeting is John Moore "Glasgow Mapping" on the 14th December. Speaker: Mr Little told us that although there may be no Rosy Barnet to speak to us this evening, we are very fortunate to have talent within our ranks who can, and are willing to pull a talk together at such short notice. Club members Artie Trezise, who you may know from Singing Kettle fame, and our own sound/ lighting wizard Gavin McNae are both going to share some of their knowledge and stories with us tonight. Artie on the Dennistoun/ Dennistoun Palais, and Gavin on the Necropolis, where he gives guided tours. Artie wished everyone a good evening and told us "I just want to share something with you. Two months ago, I decided I would like to be a guide at Kelvingrove Art Gallery & Museum. I must have been round it 40 times, today I was tested and I passed. Yay!" "I got back from Kelvingrove about 5pm today and learned that the candle lady couldn't turn up". Artie told us that this is a talk featuring the Dennistoun and the Dennistoun Palais that he has developed for the Glasgow Nomads Club. This is its first outing. Artie showed us a picture of war time rationing in the form of national dried milk, orange juice and cod liver oil. Most children that lived through this era and beyond can remember drinking the orange juice and being forced to take the cod liver oil. Tonight's talk is built around a song that is a parody of an overplayed song of the time. Cilla's brother-in-law Carl MaDougall and Ronnie Clark (picture of them on screen) were in George Square in the early hours of the morning, having missed the late-night bus home. They had heard "The Virgin Mary's Boy" once too often that night so decided to re-write it on the back of something. "Hamish was an amazing guy. I signed him for Kettle Records, he was off the booze but on something else. The outcome was that I had ten reels of tape to get down to one and a half. My Christmas present that year was a box tape recorder (picture of Revox box recorder). I learned to edit tape, and thanks to that I became an accomplished tape editor". "Back to the milk, orange juice and cod liver oil, and the Dennistoun Palais". Artie shows us a picture of another of Glasgow's well known dance halls, the Barrowland, which opened on Christmas Eve 1934. The original Barrowland had a sign of a man pushing a barra. The music stopped in 1958 when the building was largely destroyed by fire, leading to a complete rebuild and a re-opening on Christmas Eve 1960, with a new iconic neon sign. "As you well know that is not the Dennistoun Palais, that's about a 20 minute stagger away!" This is a picture of Alexander Dennistoun with his family at their home, Golfhill. Alexander employed James Salmon to draw up plans for a private housing and model suburb in the area now known as Dennistoun. Alexander was from a wealthy family who not only had mercantile business but were also involved in the Glasgow Bank, and inherited the house and business when his father died. When he returned to Glasgow the plans were set in motion, with only part of his plans being realised. It sort of backfired because he had competition from the South and the West of the City, and he hadn't taken into account the prevailing winds that blew pollution that way. Nobody wanted to buy the grand houses planned so they built tenements and churches instead. The East End Exhibition 1890/91 to raise funds for the People's Palace took place off Duke Street, Dennistoun. On the same site after the exhibition came Buffalo Bill's Wild West Show, with the building being converted into a 7,000 seated theatre. It was the sole Scottish venue and ran for 13 weeks from Christmas 1891 and into February 1892. You can imagine the commotion that Buffalo Bill Cody caused when he went to visit Ibrox and saw a match between Rangers and Queens Park, arriving late, and in full regalia to cause maximum publicity. He sent his deputy to another match, between Celtic and Dumbarton, with Celtic being beaten 0-8. Their time in Glasgow was not without event. There were problems with alcohol. One of the Native Indians called Charging Thunder (picture of him in full regalia in front of a tenement building) was charged with hitting another member of the show with a club while he was drunk on whisky. This resulted in him being sent to Barlinnie for 30 days. The show came back in conjunction with the 1903/04 Glasgow East End Industrial Exhibition in April 1904 before touring Scotland. The Exhibition drew some 900,000 plus people but only made a profit of £200. We can only assume that someone was taking the money since they had hoped to increase on the previous Exhibition's takings. The original Dennistoun Palais opened in 1922 but was destroyed by fire in 1936. It was re-built and re-opened in 1938 (Artie showed photographs of the Denny Pally). It was now the biggest dance hall in Glasgow, with a capacity of 1,800 people. "It wasn't licensed but I am told locally that punters brought in drink". Eventually they changed part of the Pally into a roller disco called Rollerino but it continued to provide memories for Glasgow dancers until 1962. It then became a Fine Fayre supermarket before being turned into flats. "As you are now doubt aware, Dennistoun has become a popular place to live, up and coming with the Italian Cafes and various restaurants. When I was a student here, I could never imagine sitting in Dennistoun drinking Cappuccino al fresco". Artie finished with the picture of a sign saying "Are you Dancin" and another chorus of "Cod liver oil and the orange juice". Gavin told us "If you were into folk songs in the 1970s you didn't want to be following Artie, and here I am following Artie tonight". In 1650 the merchants from Merchants House bought the land and used it as a pleasure park, planting Fir trees on the rocky west side which couldn't be developed, earning it the name Fir Park. Fast forward to the early 1800s, and due to pollution, the Scots Firs in the park started to die so the Merchants got together and decided to put it to a different use. Directors of Lands and Quarries agreed to the proposal, which was now possible because of the passing of the Burials Act (before which the Church had the monopoly on burials). In 1831, a competition for converting the Fir Park into a cemetery was advertised in the newspapers. Gavin's talk started at the main gates to the Necropolis, situated at the entrance from the Cathedral Precinct. The gates were originally at the western side of the Molindinar Ravine on the Bridge of Sighs (incidentally you can still see the Molindinar burn if you go back behind what was the Great Eastern Hotel). These gates feature a Clipper Ship, the symbol of Merchants house and cost £115 when manufactured at the Edington Foundry. The gates were refurbished in 2011 at the cost of £14,000. This was enabled when The Friends of Glasgow Necropolis were donated that amount by one of its members. "You walk down the gates, and you can imagine yourself in this nice glass Victorian hearse. Now, there was a scale of charges. If you were dragged in with your feet it was cheap, by stretcher more expensive, by handcart more expensive again, a couple of mourners even more expensive, so the glass hearse is costing you a fortune. Then there's your mausoleum, payment for stonemasons etc, and you have to go over the Bridge of Sighs (apparently modelled on the Venice Bridge of Sighs). You are now across the bridge and you are at the semi-circular, at the facade, in your glass hearse. What I normally do on the guided walks is turn left with people, and you see all sorts of symbolism. A shaft that has a broken end means a life cut short. The inverted torch symbolising a life ended, but the burning flame symbolising eternal life and the chance of resurrection." We are at the Jewish part of the cemetery (always intended to be interdenominational) and the first burial at the Glasgow Necropolis in 1832 was a jeweller called Joseph Levi. The Jewish cemetery was in Edinburgh, and as the Jewish faith requires you to be buried by nightfall the following day he was buried here. We are going to head up the hill and we pass three memorials to firemen. Gavin likes to tell people that you may think of all the well-to-do mausoleums when you think of the Necropolis but there are ordinary people remembered and buried here too. Now we are looking at a blocky type of memorial with coins for Corlinda Lee. Corlinda Lee married George Smith, this resulted in two big Gypsy dynasties being joined together. Shortly after their marriage George became the head of ten Gypsy families, resulting in George and Corlinda becoming King and Queen of the Gypsies. The Victorians loved Gypsies because of their so thought association with the other world. When they were in Perthshire, Queen Victoria stopped and had her palm read by Corlinda. They weren't shy of the publicity and Corlinda read all the well positioned ladies hands. The family organised Gypsy Balls all around the country where people came to see how they lived and dressed and had their palms read. They charged a lot of money for this privilege. George was a bit of a horsey man too, a bit of a character and a smart money man who pre-deceased Corlinda by faking his own death. Corlinda died at New City Road, where the Chinese Supermarket is at the motorway. The next thing that we look at is the memorial to Professor James Jeffray. He was the Professor of Anatomy at Glasgow University and attracted students to his dissecting rooms, when the study of anatomy was in its infancy. Jeffray was a victim of public agitation regarding procuring corpses from graveyards for use at medical schools. You could say it was outrageous that the Glasgow mob tore his house down when they wrongly accused him of stealing the body of Janet McAlister from the Ramshorn Kirkyard. Matthew Clydesdale was a notorious murderer who was sentenced to be hung by his neck and then his insides anatomised. As soon as he was pronounced dead his body was quickly carted up to Professor Jeffray at the Uni and dissected in front of a paying audience, it wasn't everyday that anatomists performed operations on a fresh corpse, and in public view. Galvanisation, the animation of corpses by means of electric currents was one of the major scientific interests at the time, so can you imagine Clydesdale on the slab, with Jeffray's probing him with electrodes to bring him to life. The story goes that Dr Ure and Professor Jeffray revived him and he sat up, causing much panic and terror in the crowd, resulting in Jeffray having to cut Clydesdale's throat. There was a theory that this was the story behind Frankenstein, but that's not true because Mary Shelly's book had came out six months before. It is however true that her story was based on a Galvanic experiment. Further up the hill is the Buchanan Sisters Mausoleum, the only pre-paid mausoleum in the Necropolis. Their father was a very wealthy cotton merchant in Glasgow when he died. His money was left to his three daughters, but there was an issue. Should one of them marry then that man would be head of the family and be in control of the money, so they never married. They jointly executed a will and their legacy is known as The Buchanan Bequest and it remained substantially as agreed upon even though it had been slightly amended by the last survivor, Elizabeth. Although the Sisters lived in Kilmarnock they left money to many causes, and money in trust for years to come. At the end of numerous acts of kindness the remaining funds were split between Glasgow Royal Infirmary and the Glasgow Asylum for the blind. They left £10,000 in trust for Merchants House for their mausoleum to be maintained in order and repair for all time. When the cemetery passed from Merchants House to Glasgow City Council in 1966 it was the responsibility of the Council to administer and maintain it. With the Buchanan Sisters Mausoleum deteriorating substantially over the last 150 years an appeal was launched in 2011, with work commencing in early 2013. Gavin ended his talk by telling us that Friends of the Necropolis are involved in guided tours, conserving the Necropolis and fundraising for ongoing restoration work. Glasgow City Council can see that it is attracting tourists from all over so they are now putting a lot of work into it too. Q I understand that one of the bands that played at the Palais became the group Marmalade, and later became famous. The land you were talking about used to be a cricket ground that wasn't allowed to be built on for 100 years. A Yes. Do you remember their hit "Obladi, Oblada". When I lived in Coupar, Fife, and remember you used to have to order records. On a day I was in the record shop, I remember a local coming in and asking for "Up the Dee, Up the Don". I have no idea what record he was asking for. Q Gavin, why were people putting money into the Gypsy Corlinda Lee's tomb? A Cilla, people were crossing her palms with money. S Club member, Ruairdh Clark told us that in 1973 he was in a student sub-committee, and he and another kidnapped Hamish Imlach for a week. When the week was over and done with they had to hold him above ground by the wrist and ankles for a Press photograph. They then retired to a hostelry where Hamish held court with his guitar etc, the place got so busy. "I knew some interesting characters when I was just a lad". Vote of Thanks: Tonight's vote of thanks was given by former Club President, Alison Sannachan. Alison said "we may have initially been disappointed about the Shearers candle talk being cancelled but wasn't that a wonderfully entertaining and educational couple of talks given to us by two of our own members. Thank you Artie and Gavin for filling in at such short notice". Alison invited members to show their appreciation. AOCB: Tonight's Quiz question was "when was the Glasgow Cenotaph unveiled? The correct answer of 21st May 1924 was given by J McBrechin. A reminder that club member Artie Trezise is giving his first ever official guided tour of the Kelvingrove Art Gallery and Museum this Sunday, 12th November at 2.30pm. Next Directors Meeting - Thursday 18th January, 6.15pm at Hutchesons Grammar School, Beaton Road, Glasgow. Next Ordinary Meeting - Thursday 14th December, 7.30pm start at Adelaides, 209 Bath Street, Glasgow. Welcome: Mr Little welcomed members and visitors alike to the December ordinary meeting of the Old Glasgow Club. Adelaides will have been informed and the information will also be posted on the Club's Facebook page and Website. Benjamin and seconded by Iain Henderson. excessively long at 7 pages. Too long to expect members to read them. month of December that had been running on the screen this evening. Kelvingrove Museum is beginning preparation for the upcoming "Charles Rennie Mackintosh Making the Glasgow Style"
taxi *check last bus/ train time *charge phone *PARTAAAAAYYY. Books at the Botanics - Glasgow's monthly book fair is held every month in the Hopkirk building at the Botanic Gardens. This months dates are 16th, 17th and 29th December. pulled over for speeding in last weeks episode"! January 11th - "George Square and its Environs" speaker Niall Murphy. February 8th - "An Evening for Members and Friends"
March 8th - "Disappearing Glasgow" speaker Chris Leslie. April 12th - "Central Station" speaker Paul Lyons. "Glasgow - Mapping the City". a passion for maps, most likely because his Dad worked for Ordnance Survey. good fortune that people bought it". changed and developed over the last 500 years". information reflecting a stable and ordered society. was part of the team working on the west hand side of the country. the roads that the military could use for moving troops around. It was never used. Glasgow grew, with details of the sawmill, tannery, meat markets, brewery and sugar houses. It was a four sheet map. as the mileage of each village from the tolls. support from local figures and within a short period of time £6000 was raised by the issuing of shares. destined to make Glasgow a major centre for the study of plants. offices on Saltmarket, the infantry barracks off the Gallowgate, the Magdalene Asylum and Tennent's Brewery. Whether the brewery is mentioned as a source of trouble or inspiration is up to us to decide. Broomielaw, intended dock proposals and the new harbour at Stobcross. mapping. Dots were put on the map where there was disease, 25% of which was in and around Glasgow Cross. was the first monarch since James V to visit the West Coast. map is 25 inches to the mile, giving you a parish by parish map. something like 16,000 people being put away for drink related crimes. had they invaded by land. It is a very interesting map of history. was initially approved, a combination of economics, concerns and political influence resulted in the plans being dropped. larger style housing estates on the edge of the city, Drumchapel, Easterhouse and Castlemilk. wonders what will happen to maps with all the technology, and they are all digital. "Technology is a double edged sword". reason for him writing this book. Mr Little thanked John for his wonderful talk, and invited members and visitors to ask John questions. the Burgh Minutes, this could well have been a map of the city but none of them seem to have survived. Lithography that people could afford maps. your kind wishes on to him". use these maps for his roads? Q Is that a new book you have brought out? screen earlier is for 'Glasgow:Mapping the City', the book that these maps are taken from. we played for hours. Who developed that system? A I think when the Turnpike Roads map was drawn for coach routes, and calculating where to stage the coach stops. Q Is it true that all measurements are taken from GPO to GPO in cities? A Yes, it is the usual reference point now, but before GPO started it would have been measured from a centre point. Q Is there a map of the Garden Festival? A Yes, there is one in the book - '1988 Glasgow's Garden Festival: a sign of regeneration'. Vote of Thanks: Tonight's vote of thanks was given by OGC Membership Secretary, Niall Houser. crawl". Niall invited members to show their appreciation. The annual OGC Christmas raffle numbers were drawn, and prizes distributed. Next Ordinary Meeting - Thursday 11th January, 7.30pm start at Adelaides, 209 Bath Street, Glasgow. wished club members, and visitors a Merry Christmas and Happy New Year. Chair: Mr Stuart LIttle (President). information will be available there. Dorothy Blair and Marion McGuigan. Crawford and seconded by Niall Houser. Glasgow for the month of January. footprint of producing the minutes by passing on your email address to Niall, our Membership Secretary. OGC pens £1.00 and map badges £6.00. World Came to Glasgow - Exhibitions and Events over the last 150 years and still to come". Heritage, Planning Convener of Pollokshields Community Council and a member of the Glasgow Urban Design Panel. He also gives wonderful walking tours that have received Glasgow Doors Open Day excellence awards. The Evolution of a Square AcrossThree Centuries. up being a book over 200 pages long. Map of 1755 as rigs of land let out to market gardens. Merchants brought back from North America after seeing how the grid towns were laid out there. Georgian pleasure garden for the houses. 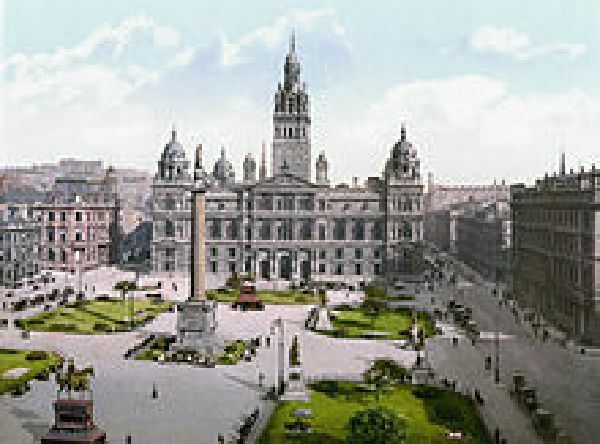 The first statue to grace the square was Sir John Moore, British Army Officer, born in Glasgow, by John Flaxman in 1819.
political commentator, Robert Burns - Scotland's national poet, William Ewart Gladstone - four times Prime Minister. brought about the Glasgow Improvement Act of 1866.
placing in groups of like with like, with cross walks and circles of trees round each of the monarchs. East - West with the evolving centre of the City. intended had the rejuvenation gone ahead. As a civic space George Square has been the scene of protests, political gatherings, celebrations and ceremonies. government deploying fully armed troops and tanks into the square and surrounding streets. budget for the proposed redesign budget given in the 2012 competition brief. their social media accounts on Facebook and Twitter. Queen Charlotte! Where would you have put the Cenotaph? A If I had free range I would have put it to the north of the square, but I can understand why they put it where they did. Q Can you tell me what your view is as to the Christmas Pantomime and other things that go on in George Square? talk of a square at the back of St Enoch for events. Vote of Thanks: Tonight's vote of thanks was given by OGC Director, Bill Crawford. you please join with me in thanking him". AOCB: Tonight's Quiz question was "What's the object on the right of this picture and where's it missing from"? Next Directors Meeting - Thursday 1st February, 6.15pm at Hutchesons Grammar School, Beaton Road, Glasgow. Next Ordinary Meeting - Thursday 8th February, 7.30pm start at Adelaides, 209 Bath Street, Glasgow. Close: Mr Little wished everyone a safe home. Jane Collie, Margaret Thom, Aileen Kelly, John McKnight and Cath Wallach. and seconded by Crawford Cassidy. February by Club Secretary, Mrs Joyce McNae. J.A.S. Memorial Walk on Thursday 24th May - "George Square" with last month's speaker, Niall Murphy. free to play, or come along and spectate/ socialise. March 8th - "Disappearing Glasgow" with speaker Chris Leslie. April 12th - "Central Station" with speaker Paul Lyons. £3.00, OGC pens £1.00 and map brooches £6.00. footprint of producing hard copies of the minutes by passing on your email address to Niall, our Membership Secretary. Alhambra Theatre 1958, Garden Festival 1988, UNESCO City of Music 2008.
rapidly in size to become the powerhouse of the Scottish economy and the second City of the Empire”. creative. Its many music halls, theatres and cinemas were packed and its orchestras and choirs gained international reputations”. Mitchell Library built up one of the largest public book holdings in Europe”. the World came to Glasgow” - this would take in many of our ideas from the Past, the Present and the Future”. giving a flavour of “When the World came to Glasgow”. Games” by club director Alison. Glasgow, from May to October 1938. Some of which were images that had been donated to the club quite recently. as the country being under threat from Nazi Germany. It was a showcase of of cutting edge architecture with Thomas S.
Tait appointed the architect-in-chief. There were 80 Pavilions on the 175 acre site. economic climate it only attracted over 12.5 million visitors in its six month run. exhibition of its type to be held in the city since The Empire Exhibition 50 years earlier. Festivals and attracted 4.3 million visitors over 152 days. Cola Rollercoaster, layout map of the area, High Street with its street entertainers and the giant teapot and cup. many years after the event. who's song was being playing by the Kelvingrove organist that day. coincidental in the rise of visitor numbers. business meeting, and it didn’t help that he was shouting for a dog called Tilly, who is actually called Titch! down by the Kelvin. Everyone that was stopped asked if Titch is wearing a dog tag, is it chipped. Titch are getting on the London train and Titch doesn’t so much as give Artie a backward glance. baking, kindly made and donated by OGC Directors Colin and Gaynor. 1 When was Glasgow made UNESCO City of Music? Answer - 2008. 2 When was the Battle of Langside? Answer was 1568. 3 Empire Exhibition: Where was the architect Thomas Tait born? Answer - Paisley. 4 Glasgow Garden Festival: How many days was the Garden Festival open? Answer - 152 days. 5 When did the Empire Palace Theatre originally open, in Sauchiehall Street? Answer - 1897. 6 Which other city theatre opened in the same year? Answer - The Old Metropole, Stockwell Street. 7 On what date was the QE2 launched? Answer - 22nd September 1967. 8 What was the name of the North British Loco works? Answer - Atlas & Hyde Park Works. 9 How many countries competed at the 2014 Commonwealth Games? Answer - 71 countries. 10 Where will the 2018 Commonwealth Games be held? Answer - Gold Coast, Australia. yards, many of his pals did. Palestine and so the list goes on. In the East End there was Beardmore’s and Parkhead Forge, with Parkhead employing some 20,000 people at one time. Nearby, in Dalmarnock, William Arrol founded his company in 1873, where initially they specialised in bridge building. Bridge, aerial view of Tollcross works and the iconic Titan Crane. the British Empire Games). The Games took place from the 23rd July to 3rd August 2014.
where the Badminton was played, and the Sir Chris Hoy Velodrome where the Track Cycling events took place. some years for that well known, and sought after trophy, our own Tappit Hen). where the official Commonwealth Games logo was situated. 50,000 Clyde cuddly toys were sold. The Scots medal tally was a record breaking 53 - 19 Gold, 15 Silver and 19 Bronze. Celtic Park on 23rd July with Susan Boyle, John Barrowman and Rod Stewart to name a few stars that were there. The closing ceremony took place at Hampden Park on 3rd August and included Kylie Minogue, Lulu and Deacon Blue. the 2nd to the 12th August. She urged us to get the sun cream ready in hope that the sun will shine for us again. Directors for their behind the scenes help. considering that there were, unwittingly, two trick questions in the quiz that weren’t mentioned in the talks. commissioned to record aspects of Clydebank that were undergoing great change in the 1970s. For those of us that might be interested, there are volunteering opportunities at the museum. Moyra Robertson, who passed away in November of last year. Next Directors Meeting - Thursday 1st March, 6.15pm at Hutchesons Grammar School, Beaton Road, Glasgow. Next Ordinary Meeting - Thursday 8th March, 7.30pm start at Adelaides, 209 Bath Street, Glasgow. Chair: President, Mr Stuart Little. tonight and not last week when we had an abundance of snow. membership card to see if the meeting is going ahead. Marion McGuigan, Isobel Muldownie, Joan MacKenzie and Dorothy Blair. McNae and seconded by Alison Sannachan. There were no amendments. interest from the February meeting. President Little gave his permission for Mr Henderson to take the microphone. the end of tonight’s meeting. President’s Report: There was no President’s report this evening. your details on to Niall, our Membership Secretary. J.A.S Memorial Walk on Thursday 24th May - “George Square and its Environs” with January’s speaker, Niall Murphy. St (side of City Chambers) at 10.00am. night, free to play, or just come along for the chat and to spectate. April 12th - “Central Station” with speaker Paul Lyons. May 10th - Old Glasgow Club AGM at Glasgow City Chambers. chair of “Remember Mary Barbour”, along with Catriona Burness gave a talk to the club in September 2016.
a ground floor commercial unit. This is one of a series of commemorative events being held to mark the 450th anniversary of the Battle of Langside. neighbours and the wider community to wander the streets and look at their home-made exhibition. recommended to watch last nights episode about Duke Street on catch up Tv, if we got the chance. Speaker: President Little introduced tonight’s speaker, Chris Leslie, who is a Glaswegian photographer and film maker. was to take place, Chris decided that perhaps Glasgow could be the edgy photojournalist city he was looking for. eight years. It was self-initiated, self funded, and because of this he was not controlled by editorial. in the photographs tonight has disappeared in the last eight years. disappearing-glasgow.com. You will be able to view the photo book, read about his project and purchase prints. Q Hi Chris, were the Council aware of your project, and did they have an opinion? all the flats were finished? how many flats in total, I would need to Google that information. Q Chris, what do you think the answer to the housing problem is? to. There’s a vendetta against the high-rise flat, celebrating the death of social housing isn’t that clever. to be doing a wonderful job, so it is a bit of a contradiction. it back to the beginning, asking what their needs and wants are. Happened at Ibrox, it is now aimed at mid market. sisters lived in the Red Road flats. The pictures that you see at the end were not like the happiness that I remember. I remember a great sense of community, everyone looking out for each other. what the buildings stood for, they were despised. Q All the flats are successful in the south and west end of the city, the wealthiest parts but not in the east of the city. They needed to invest in schools, jobs, there was no investment in the east, no industry left, just the people. Q What happened to Jamal? Vote of Thanks: Tonight’s vote of thanks was given by Membership Secretary, NIall Houser. “Just before I give the vote of thanks, I have to clear my mental image of Alison at the bingo in Red Road flats! thought we were mad for asking. AOCB: N.B. Points of interest raised by Vice-President, Mr Brian. D. Henderson from the last ordinary meeting. Sauchiehall Street and re-opened in 1931 as The Empire. The doors were finally closed in March 1963.
issue arising from the minutes of the last meeting, at an inappropriate juncture. Next Directors Meeting - Thursday 15th March, 6.15pm at Hutcheson Grammar School, Beaton Road, Glasgow. Next Ordinary Meeting - Thursday 12th April, 7.30pm start at Adelaides, 209 Bath Street, Glasgow. Mr Little thanked everyone for attending this evening and wished all a safe home. to pull out due to ill health. Paul was wished a speedy recovery. the Southern Necropolis - “Further Mental Meanderings with the Happy Reaper”. membership card to check if the scheduled meeting is going ahead. and seconded by Iain Henderson. There were no amendments or matters arising. President’s Report: There was no President’s report. Meeting towards the centre of George Square at 6.00pm. Street (at the side of City Chambers) at 10.00am. allowing plenty of time for dinner and refreshments. Tappit Hen Bowling Tournament on Thursday 14th June - will take place at Kelvingrove Bowling Greens. Argyle Street afterwards, payment directly to the restaurant. the Chambers via Cochrane Street, and to bring our membership cards along as proof of identity. means the Club is entitled to an extra £5 on top of the £20 membership fee. This is entirely optional. you to give us permission confirming that we can contact you. Again, this is entirely optional. Niall thanked us for listening and handed back to Joyce for events and happenings around Glasgow. 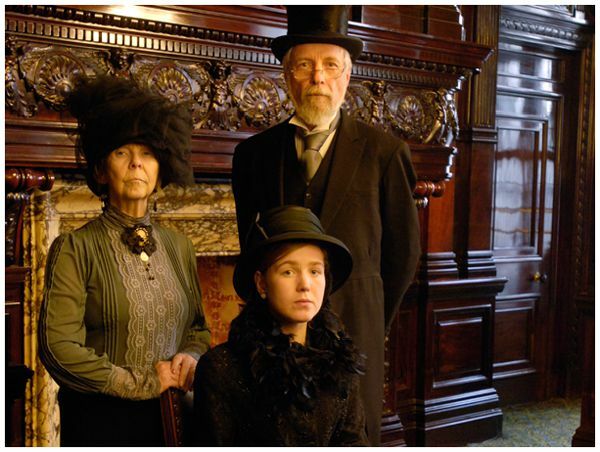 Mitchell Open Tours - Thursday 7th, 12th, 29th June and Thursday 12th, 17th and 26th July. A tour behind the scenes of the famous Mitchell Library between 2.30pm - 3.30pm on the above dates. Langside. They are really keen for volunteers to help between 11th-14th May in Queens Park. are holding a registration day for film extras in Glasgow! To register your interest of becoming an extra go to www.universalextras.co.uk and click ‘register as an extra’. regular to the OGC over the years, you will be familiar with him and his entertaining talks, his last being November 2015.
the West End but she had a passion for the history of the Gorbals. 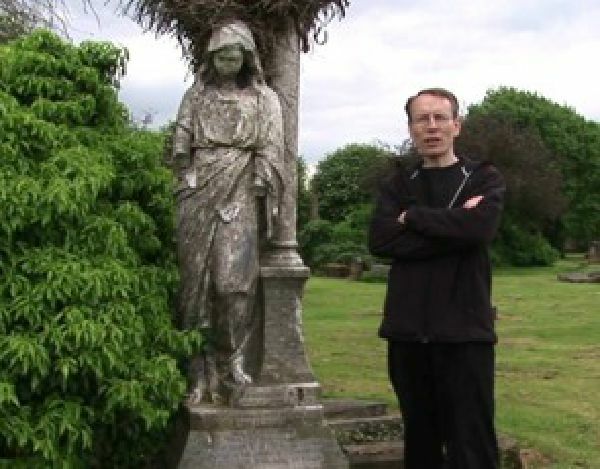 The Southern Necropolis - The Past and Pioneering Project was started by Charlotte Hutt in 1988.
history within it, and at least bring it back into peoples memory”. Quote by Charlotte Hutt. memorial stones, amass information on the lives of those buried there and produce a computer database. the designs of Glasgow Architect Charles Wilson, who also designed Rutherglen Town Hall. weekly litter pick ups, Sunday history walks to name a few. been taken out and are being meticulously replaced. are both dedicated to the memory and work of Glasgow Architect Alexander Greek Thomson”. also continuing to research and help record various historical archives preserving the story of the Southern Necropolis. appreciate any support towards carrying out the project for another year”. Colin also advised that any volunteers are welcome to help with the weekly litter pick ups! the audience. All answers had been given in the talk. 1 Name three different causes of death linked at the Southern Necropolis? Smallpox, TB and Cholera. 2 Monuments and Symbolisms? Angel of death, skull and crossbones and Dove. 3 Do you know where Greek Thomson was born, and how much did his headstone cost? Balfron - £16,000. 4 Who were the two gentlemen who founded the Southern Necropolis? Archibald Edmiston and Colin Sharp McLaws. Colin thanked us for listening and ended his talk by telling us, “Southern Necropolis, there is life in the city of the dead”. Q What is the stone with the musical instrument on it? A It is the gravestone of William Miller, the author of ‘Wee Willie Winkie’. Q Colin, the men that are working around the Southern Necropolis just now, is it the walls they are working on? Q What is the general state of the headstones now? it being more intact if it is granite. because I wondered if you had applied to Historic Scotland, and others like it. list of the Prince of Wales Buildings at Risk fund. Vote of Thanks: Tonight’s vote of thanks was given by club member, Artie Trezise. thanks to Colin for his wonderful talk. Next Directors Meeting - to be confirmed. Next Ordinary Meeting - Thursday 13th September, 7.30pm start at Adelaides, 209 Bath Street, Glasgow. to seeing you at the September meeting”. Minutes for the 2018 AGM will be available after they are approved at the AGM in 2019.